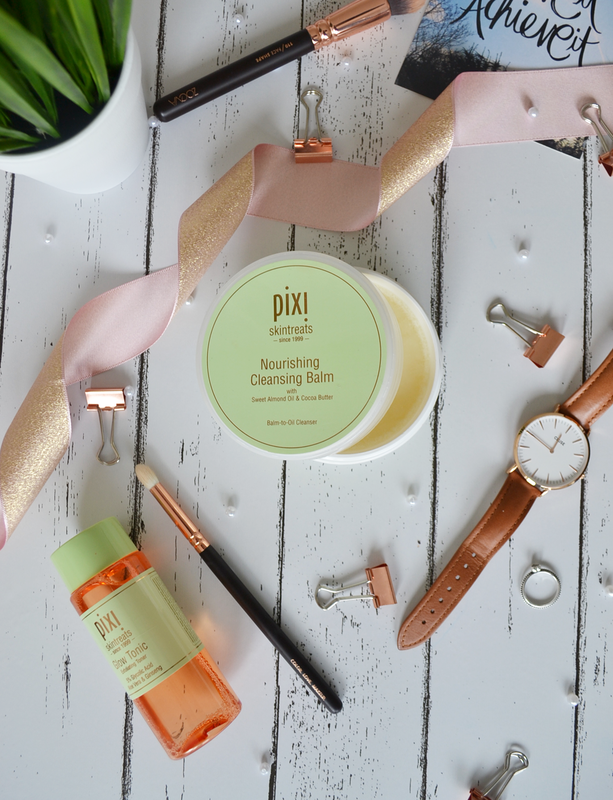 My skin was getting fed up of not being treated right after wearing make-up every day, and after having my eye on various cleansing balms for a while, I decided to pick up the Pixi Cleansing Balm. 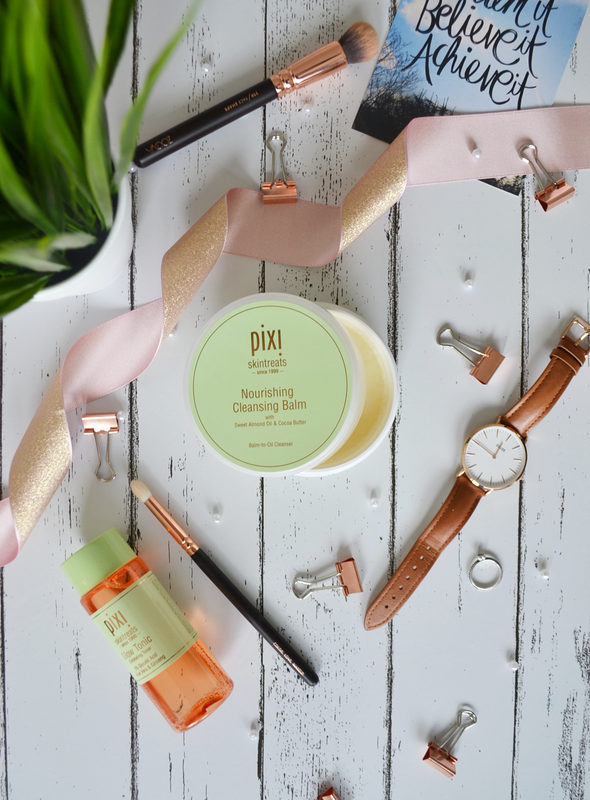 This Balm-to-Oil cleanser melts away makeup, removes impurities and leaves my skin feeling squeeky clean. With 90ml of product priced at £18, the nourishing cleansing balm is enriched with sweet almond oil and cocoa butter, with a rose scent. I sometimes still use my micellar water when wearing heavier make-up as a first step to cleansing, and then follow on with this. Just a little scoop of the product will go a long way. I massage into my face for 30 seconds allowing the product to warm up in my hands and soften to an oil and actually find it super relaxing! A little more focus is needed to remove mascara and sturdy eyeliner but with a damp cloth all my make-up can be removed easily. I did begin with trying to simply wash it off my skin, but definitely think a warm cloth is the way to go. It feels lovely on the skin and leaves my fave feeling soft, clean and fresh. Have you tried this before? What cleansing balms do you recommend?